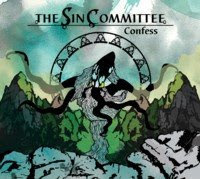 Hall of the Mountain King: You've Gotta Hear This: The Sin Committee, "Confess"
You've Gotta Hear This: The Sin Committee, "Confess"
Editor's note: You've Gotta Hear This is an occasional feature about unsigned bands that I think deserve your attention. I’m always a little nervous when I get an independent CD. On the one hand, I hate to rip them apart. They’re usually bands just starting out that still need a lot of work but could develop into something, and being a lousy guitarist that refuses to give it up myself, I hate to discourage anyone. On the other hand, a lot of them are really bad. So I’m always happy when I get a self-released record that I can really get behind, and that’s the case with this latest EP from The Sin Committee. The five songs here are well-written and well-recorded, and all in all it’s a promising and interesting sample of what might come in the future from these guys. Confess features a heavier brand of progressive. While there are some shades of more traditional prog metal like Dream Theater, the music here owes much more to bands like Opeth. 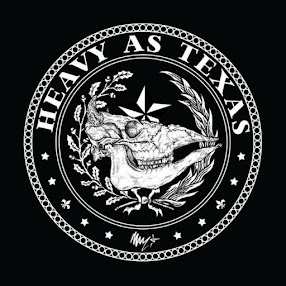 The guitar riffs from Raymon van Vught are, by and large, on the heavy side of the prog spectrum, and you won’t hear any reaching for the skies vocals from Joris Bod. Don’t get me wrong, he can sing, but it’s a more aggressive style, and he also offers up some nice deathly growls to punctuate the clean vocals with a gut punch of heaviness. Best of all, there are no overbearing keyboards to be found here — just guitar, drums, bass and vocals on most of the tracks — and the music doesn’t lose anything at all in atmosphere with their absence. In fact, when a keyboard-like line does make an appearance in “Straw Men,” it sounds a bit out of place, and if I’m being honest, I’m not actually sure if it’s really a keyboard or an effect created with the guitar. There’s a lot going on here. The band is obviously heavily influenced by the prog metal bands that have come before, but there are nods to death metal, thrash, an occasional hit of doom, and even more modern rock sounds — for example, there’s a little bit of System of a Down’s quirkiness on album closer “Four 2 One.” They manage to keep the music satisfyingly heavy and interesting while weaving some more commercial threads through the songs, like the catchy vocal melodies on the verse of the title track. In these five songs, The Sin Committee delivers exactly what I’m looking for in a prog band. The songs are hummably melodic and catchy, yet rip-your-face-off heavy in places. It’s just one hell of a good EP, and it whets my appetite for what they might do in the future. Visit The Sin Committee's site to learn more.